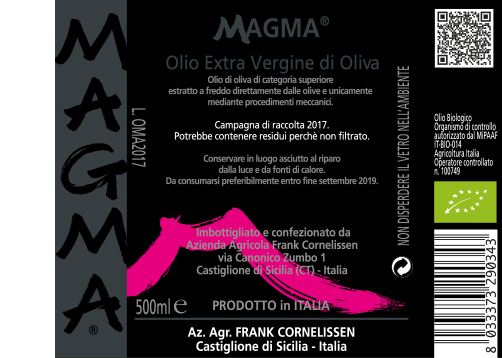 Magma® is produced only from the low yielding San Benedetto cultivar. Once every 5 years we get the right conditions to produce this olive oil, due to climatic difficulties to achieve perfect ripeness without damage of the olives. Bottle type (with pouring cap): dark 0,5L.